Gaetano Hardwood Floors, Inc. has been family owned and operated since 1955. Though we like to keep pace with the latest technology and trends in our industry, we still abide by good, old-fashioned values like honesty, integrity, and personalized customer service. Ever since my father, Gaetano Genovese, handcrafted his first hardwood floor over half a century ago, we have prided ourselves on offering a high quality of workmanship at a fair and reasonable price. At Gaetano, we are dedicated to creating, refinishing, and maintaining beautiful, custom hardwood floors. Our services continue to meet and exceed our clients’ expectations. In fact, 85% of our customers are referrals — a testament to our solid reputation and our satisfying results. A Gaetano floor is not merely a structural component of a building, but a lasting work of art, infusing homes with the luxurious aura and classic warmth of wood. We believe that wood floors should be a durable and worthwhile investment. 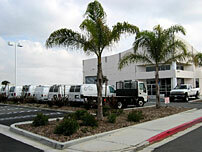 That is why, over a decade ago, we expanded our new floor installation business to include resurfacing. Customers who are purchasing a hardwood floor for the first time may be interested in our free consultation. With over 100 domestic and exotic wood types to choose from, we offer something for every personality and motif. For customers who already have a wood floor that simply needs touching up, we provide refinishing services to revitalize the aging wood and bring out its character. Gaetano Inc. is committed to providing reliable and thorough hardwood floor services. CEO of Gaetano Hardwood Floors, Inc.
Gaetano Hardwood Flooring has won the Best of Houzz Award over 7 years in a row!